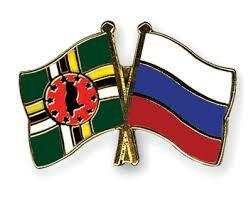 WHY IS A POST-APOCALYPTIC DOMINICA ASKING RUSSIANS TO VISIT FOR TOURISM ? Internet visitors have noticed lately that the Commonwealth of Dominica has placed a number of tourism ads in Russian language websites, social media sites, and even search engines, in what appears to be a concerted effort to bring Russians to Dominica as tourists. What's wrong with this picture ? First of all, Dominica is still reeling from having absorbed a direct hit from Hurricane Maria; widespread electric power outages, and other critical infrastructure issues, still exist, and extensive damage to what some call the Nature Island frankly renders eco-tourism, or tourisn of any kind, impossible. 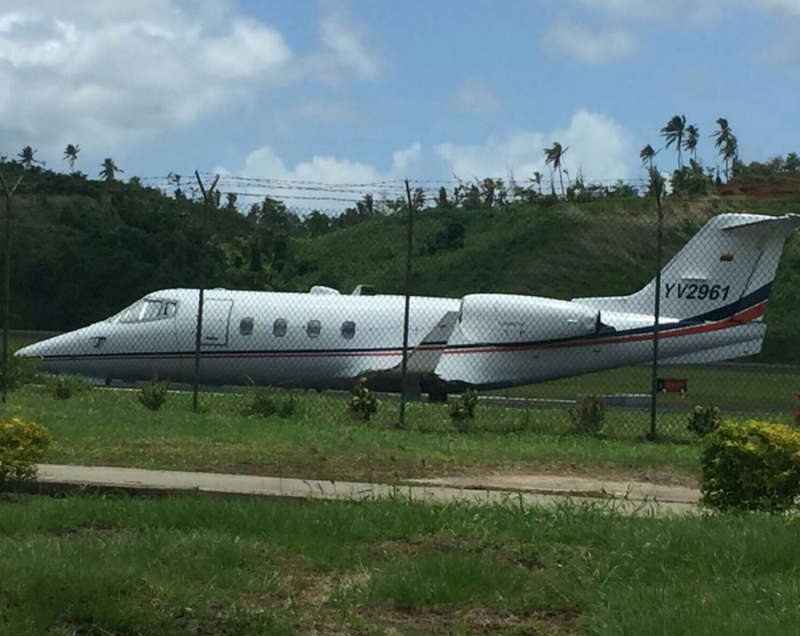 Of course, if there are Russian tourists want to come and help with reconstruction, they are more than welcome, but sun & fun is a little hard to find in Dominica in 2018, as that is assuming that our Russian "tourists" will even find travel user-friendly, because Dominica has no international airport,, and getting there will not be "half the fun." Perhaps there is a hidden agenda here; after all, Dominica has a new, hard-working resident Ambassador in Moscow, who primary business is his CBI consultancy. What if the ads are really a call for Russians to consider CBI investments, so that they can pick up that nice little Dominica passport, which affords them visa-free travel into the UK and the EU, something their Russian passport cannot do. Maybe the most affluent ones will even spring for a diplomatic passport. Are Russians merely passing through, picking up their prized CBI passports, en route to a coveted European, or Commonwealth, destination ? We cannot say, but Dominicans will most certainly be looking for any new arrivals, with pale skin that has not seen the sun, who may happen to have only minimal English skills, but a lot of greenbacks, headed for the nearest local lawyer's office, provided that the lawyer is also a CBI consultant. 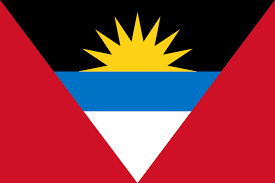 The constant buzz of the Asot Michael corruption scandal, together with a number of other pending and still unresolved financial crime scandals.continue to roil Antigua, and are thought responsible for the major resuction in new CBI applications, and lack of legitimate investors seeking opportunities in the two-island nation. (1) The Leroy King case, where the country's former chief financial services regulator's extradition, to face charges in the Stanford International Bank case, has been artfully delayed for several years, some say through government influence. 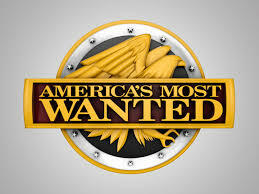 (2) The missing two hundred passports scandal, which involves Asot Michael, the former head of the Antigua Policem and a number of others who are attempting to stay out of the public eye. (3) Asot's British scandal, where he is accused of soliciting a $2m bribe to facilitate an investment, and where one of the partners in the investment group is a known white collar criminal. 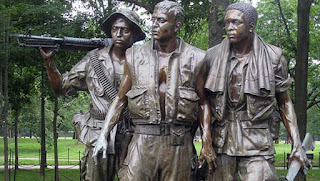 (4) The never-ending story about the failure of the country's CIP program to elevate its vetting to enhanced Due Diligence, resulting in the acceptnce of unsuitable applicants, whose subsequent criminal acts bring the program into disrepute. (5) Lingering rumors that the most senior individuals in government have accepted large bribes and kickbacks, while the Integrity Commission magically gives all the suspects a clean bill of health.. 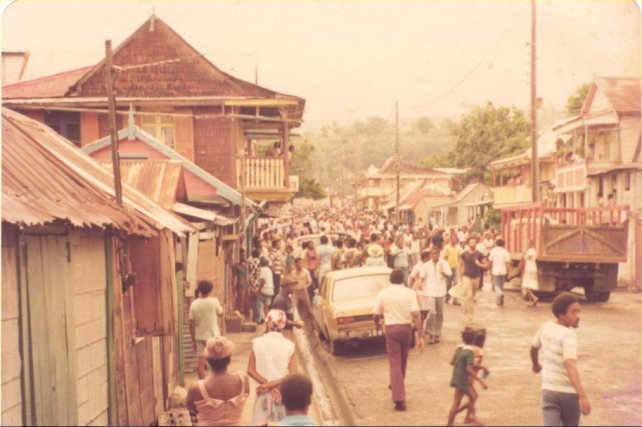 Without true reform, Antigua will remain in both the economic, as well as political, doldrums, with no relief in sight, and with negative news dominating stories from the island. It appears that the Commonwealth of Dominica has recently sold far more Citizenship by Investment (CBI) passports than any of the other four East Caribbean States; some insiders are saying that it may be as much as several hundred during the last few months. Here's why this is extremely disturbing, not only to bank compliance officers, who fear money launderers and terrorists with CBI passports, but to law enforcement agencies, who are tasked with crime suppression and counter-terrorist financing inside North America, the European Union, and the countries of the Commonwealth of Nations. If you take a close look at the names of the companies that are CBI consultancies approved by the Government of Dominica, you find that there are firms targeting only Chinese nationals, and who also have offices inside China, or inside offshore tax havens frequented by Chinese. Other firms are specifically marketing to Russians, and/or are located in Russia. Both countries use non-Latin alphabets, in their official languages; making accurate transliteration into English problematic, and making the intentional disguise of true identities, by unregulated CBI consultants intent upon earning those sky-high commissions, by seeing that all their applicants pass due diligence, the rule, rather than the exception. Add to this the abysmal (some experts say dysfunctional) level of due diligence performed on applicants for Dominica CBI passports, and you have a perfect storm, whereby career criminals, terrorist financiers, sanctions evaders, and other dodgy types claim that valuable passport, only to use them for the purposes the drafters of Dominica's CBI laws never intended. Inasmuch as Dominica will not elevate its vetting process to true Enhanced Due Diligence, it has become time to treat ALL Dominica passports, where the holder was not born in the country, as suspect, high-risk, and a potential danger, wherever they are produced abroad, for any purpose. For those of you who are not students of Caribbean history, on this day in 1979, the people of Dominica, fed up with an autocratic regime that intended to pass legislation limiting freedom of speech, and the rights of unions, rose up and took down the government of Patrick John. 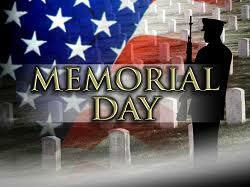 There were casualties among the people, who were unarmed, when the police and military opended fire upon them. I was in Dominica immediately after that, and present at the Inquest into the carnage. What was I doing there ? Even back then, long before St Kitts created the CBI ib 1984, Dominica's corrupt leaders were selling diplomatic passports. Those who forget the lessons of history are doomed to repeat them. If you want to read the complete story, access it here. For all my brothers in arms who served with me in the First Infantry Division in the Republic of Vietnam in 1969 and 1970, and in the Twenty-Fifth Infantry Division, in Vietnam and Cambodia in 1970, and who fell on the battlefield, rest in peace. 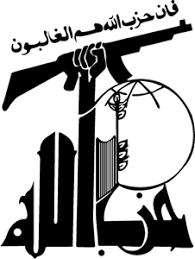 Longtime readers of this blog may recall our article, dated September 8, 2013, entitled Al-Qaeda has a Business Office in the Republic of Panama, which detailed how the most dangerous terrorist organizations, including Hezbollah, all openly maintain offices in Panama City. 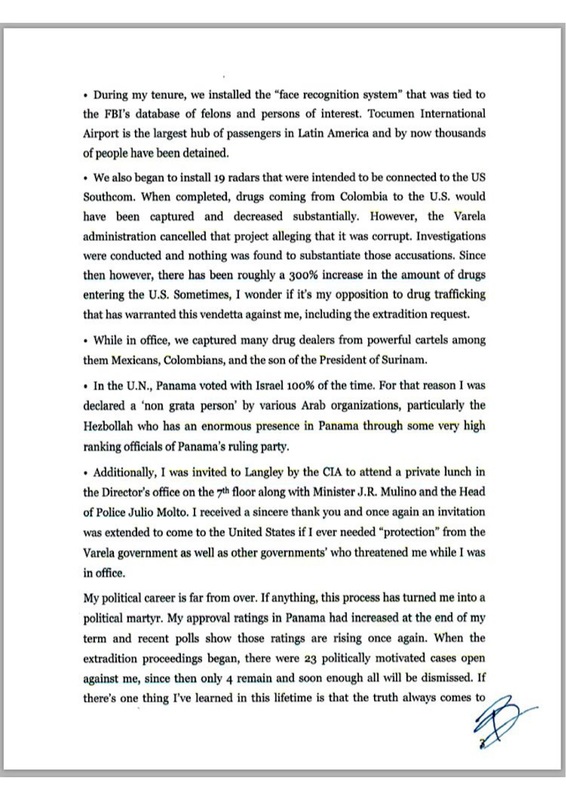 They employ Panama's capable banking structure to move criminal proceeds back to the Middle East; this is known as terrorist financing, or providing material support to sanctioned terrorist organizations. 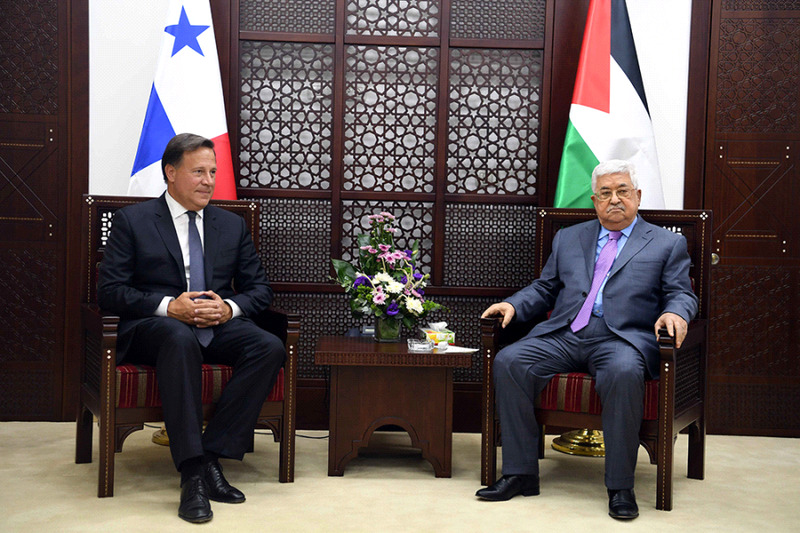 If you know a Panama insider, you can still find your way the Hamas and Hezbollah offfices in Panama (but do not attempt to enter). 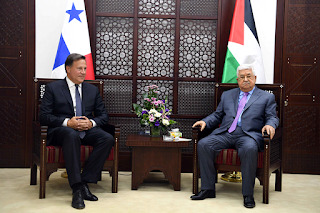 The administration of President Juan Carlos Varela not only allows them to freely operate, and to remit the proceds of their cocaine trafficking operations in Latin America back to Beirut, Istanbul and Amman, using Panama's "don't ask, don't tell" banks, but he is busy developing a relationship with Mahmoud Abbas, and the Palestinian Authority, an entity that rewards terrorist bombers and murderers by sending salary payments to their families and next of kin, for all the years that they are imprisoned. Panama gets an "F" in the global war on terrorism; so why are its locally-owned banks still allowed to maintain correspondent banking relationships with multiple financial institutions in the United States & Canada ? Readers who are following unfolding developments in Ricardo Martinelli's extradition case may be interested in reviewing the complete text of the letter sent by the former president of Panama, to US government officials. We stress that his version of the facts are uncorroborated and unverified. 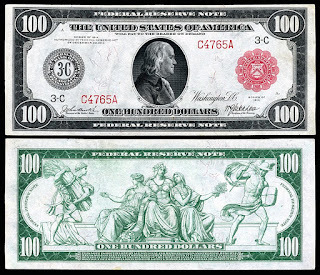 Our efforts to raise an alarm on the threats posed by the latest version of the North Korean-manufactured USD$100 bill seem to have fallen upon dear ears, at least where it comes to two of the US government agencies charged with enforcing American laws against counterfeiting. 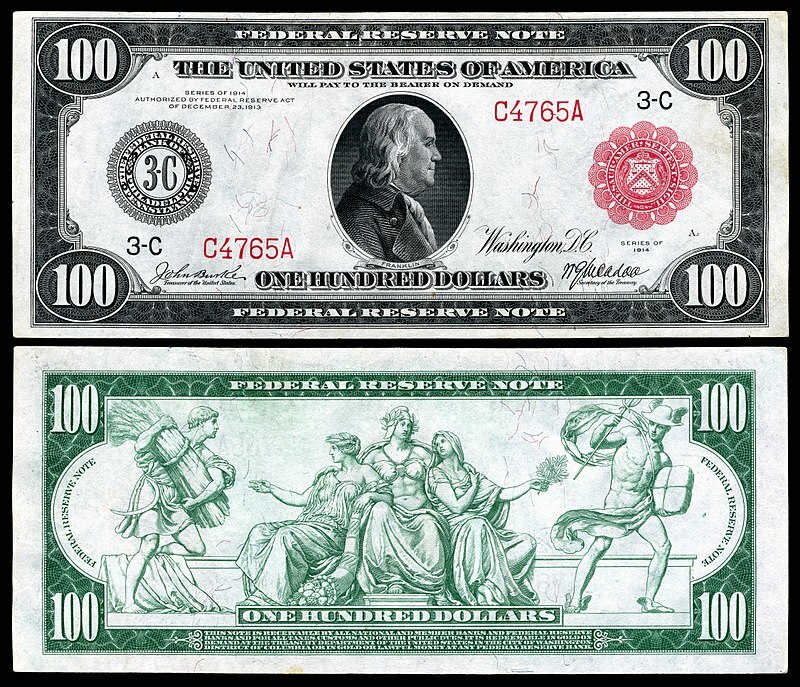 Neither showed any interest in opening an investigation into the Series 2006 $100 note, when contacted. Mainstrean US media is likewise silent. One agency was presented with an exemplar of the counterfeit notes and, after examination, stated that it believed that they were made in China, not North Korea, and discounted the threat altogether. The other agency advised that it was also not interested in information, and that it had rebuffed three prior civilian inquiries about the newest iteration of the so-called Supernote. What really concerns me is that there are, if the photographs are to be believed, pallets of these counterfeits sitting in cold storage, both in South Korea as well as in China, and nobody appears to care about the fact that the dominent Korean organized crime syndicate, which controls the warehouses where they are stored, could flood Asia with them, seriously affecting the confidence that individuals who choose to place their wealth in cash and in dollars, presently have in our currency. 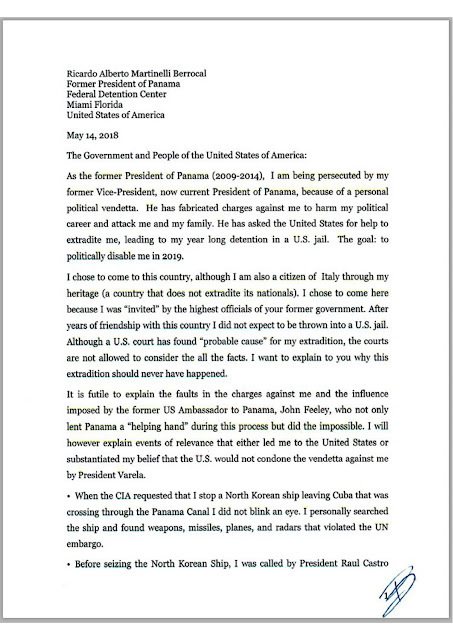 Given that the organized crime group has ties to North Korea, it is not a stretch to consider that if the DPRK is sufficiently angy at the US Government's latest bellicose statements, it might order that the counterfeits be released into circulation, in a mass event that could cause the valiue of our currency to temporarily plummet abroad. Traders who had advance knowledge of this act could earn huge sums for North Korea, by betting on the fall of the dollar. Could such an action even permanently damage the value of the US Dollar ? I hope that we don't have to find out the hard way. 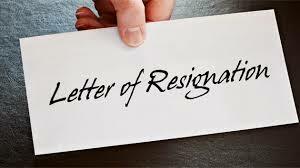 Cashiered from his four ministerial posts, for rampant corruption which has been previously described in painful detail, on this blog, the disgraced politician, Asot Anthony Michael, has crossed a red line, and uttered threats against his own constituents, the people of Antigua & Barbuda at large. 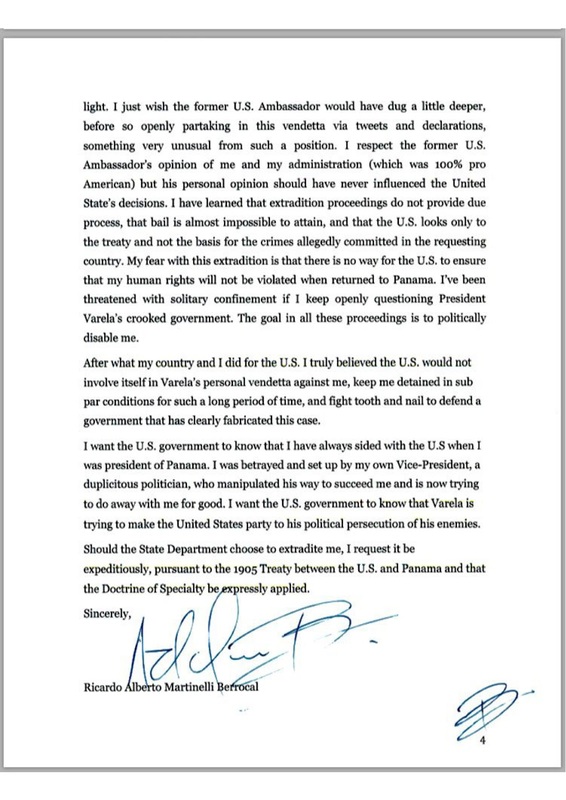 His fall from grace has been swift, but this latest incident renders him unfit, not only for public office, but even to continue to reside in Antigua for any purpose. MP Michael, who initially stated that he would resign his seat in Parliament, but later reneged upon his promise, repeatedly stated in a public forum,where he was was heard by witnesses to threaten, that "if any Antigua and Barbuda Labour Party (ABLP) member is arrested by the Opposition, that there will be blood flowing in the streets." This is a direct threat to the public safety, and since the statement was made outside of Parliament, he cannot hide behind immunity in any form or manner. His arrest, as a public enemy who has made obvious death threats, should have occurred already. The Royal Police Force of Antigua & Barbuda must take him into custody, before anyone gets hurt by the "Bagman of Antigua" who early political career he wants the public to forget. MOVE OVER CHINA AND WATCH OUT DOMINICA, HERE COME THE RUSSIANS ! If you read the Caribbean media closely, you know that the Government of Dominica has appointed a Resident Ambassador to Russia, to be located in the capital, Moscow. The Ambassador, Nuri Katz, is the owner and CEO of a CBI consultancy, based in Montreal, Apex Capital Partners Corp., which, among other services, offers Citizenship by Investment through Dominica, where it also maintain an office. For those readers who are wondering why Mr. Katz is moving to Moscow at this time, you only need look at recent developements in the United Kingdom, regarding the issue of visas awarded to Russian nationals. For reasons that are relevant to UK moves towards corporate transparency, including the fact that most high-end property in London is now being purchased through opaque shell companies, and the UK poisoning attack, affluent Russians are reporting extreme difficulty in securing a UK visa. Individuals who have substantial real estate holdings in the UK, including commercial properties, and seek to visit there, are being turned down. The is a potential problem; With a Dominica CBI passport, the holder, whose listed name is a transliteration from the Cyrillic alphabet to to our Latin characters, may possibly have had his true identity slightly altered, to defeat computer inquiries by law enforcement agencies. The holder, with a clean new name on his new passport, can now enter the UK visa-free, because Dominica is a member of the Commonwealth of Nations. Athough arriving directly from Russia might be a problem, Russians who acquire Dominica CBI passports would most likely choose to transit additional countries, and to produce the CBI document, when arriving at Heathrow, for the first time, so no interesting passport stamps would appear to give them away. Would they be coming from the Western Hemisphere ? We cannot say, but this appears to be a solution to their dilemma. 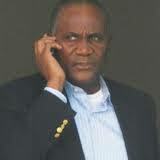 Maybe he picks up his CBI passport in Roseau, the capital, enroute the UK; he can take BA across the Pond. (1) Russian Foreign Minister Sergei Lavrov, in a one-on-one meeting with his Dominican counterpart, Francine Baron, in Sochi, Russia, on November 14, 2016, during the CELAC meerting, signed a bilateral agreement of cooperation between their two countries. Details of that agreement have never been disclosed, nor has the Government of Dominica ever referred to it in official communications. What is in that agreement ? 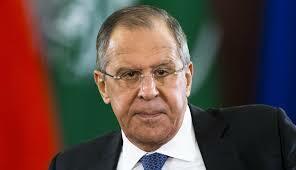 (2) A private meeting, between Dominica Prime Minister Roosevelt Skerrit, and Russian FM Lavrov took place on June 2, 2017, during the Twenty-First St. Petersburg International Economic Forum, where Lavrov made reference to the bi-lateral cooperation agreement as the focal point between the two signatories. Will we now see wealthy Russians flying in to their "adopted" country, in expensive business jets, where the airport authority sends everyone home early, to protect their privacy, as was done recently ? We cannot say, but we will be watching, cameras ready. 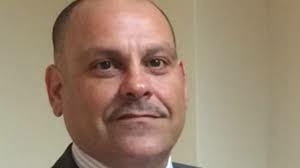 Asot Michael, while Minister of Investment in Antigua, deliberately and intentionally hid from the Cabinet the fact that Peter Virdee's partner in PV Energy Ltd., Hans Dieter Trutschler, had a major criminal conviction on his record. Questions have been raised in Antigua as to whether this constitues a criminal act, and whether Michael should be charged, to demonstrate to prospective investors that Antigua will not brook this type of conduct fronm its elected officials. Trutschler was "convicted of fraud related offenses for illegally diverting $4.3m in legitimate payments from one company, from accounts he controlled," according to a United Nations report quoted in media. This occurred in Kosovo in 2002; He was working for the UN at the time, in a senior position. All this information is publicly available, and Michael, as Investment Minister, and a longtime friend of Virdee, certainly would have known about it, but he failed to give any of this information to his colleagues on the Antigua cabinet, especially due to the fact that Trutschler was sentenced to a prison term of three and one half years imprisonment, under the alias Johanns Dieter Trutschler. Inasmuch as Michael's fellow ministers in the Cabinet were deceived about the true nature of the individuals behind PV Energy, and have to account to the people of Antigua, who elected them, they should consider their own civil action against Michael, for Malfeasance in Office, or another active Tort, if they are not reelected due to Michael's misconduct. Customers of BOI Bank are reporting that they have been unable to retrieve finds from their accounts, and that the situation is dire. Some customers allege that they have has problems withdrawing money for the last eighteen months. The bank asserts that it cannot secure the necessary intermediary bank and correspondent bank, to transfer funds to clients, but we are unable to determine whether there is a factual basis for this statement. 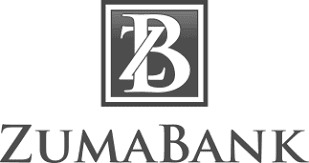 BOI Bank Corporation, trading as BOI Bank, is an Antiguan bank, reportedly managed and operated completely from Caracas. 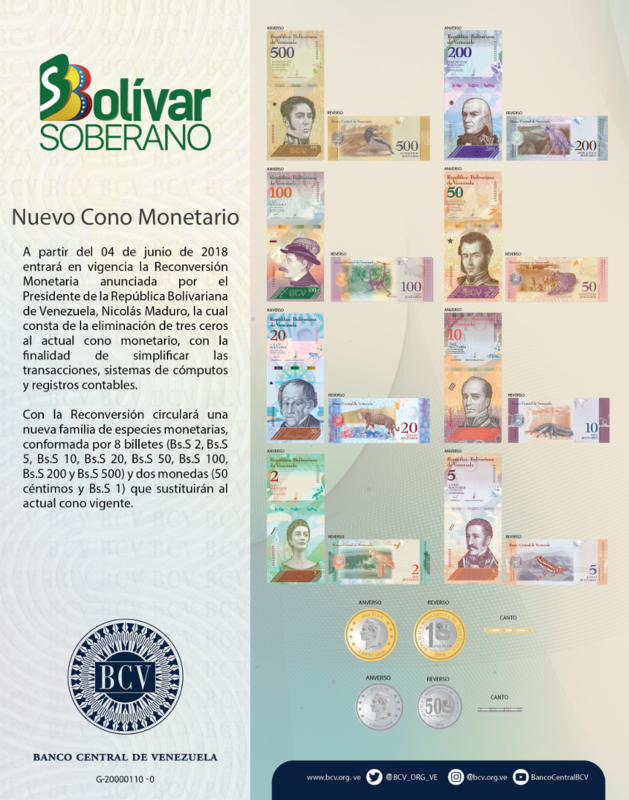 Its record owner is Venezuela's BOD Financial Group, which also owns Banco Occidental de Descuento. 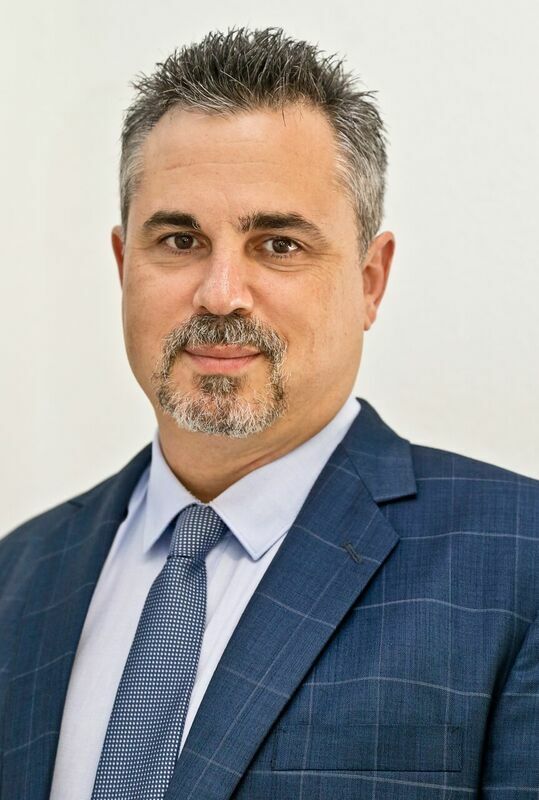 Victor Vargas is the president and chairman. Oversight of CBI contractors & developers, as well as clearly excessive charges of consultancies are the subject of a new Twitter account, #keepcbihonest . If you are interested in an exchange of views between Citizenship by Investment (CBI) consultants, East Caribbeans who favor one program over another, and those who are complaining about the conduct of developers, you should visit. Sam Bayat, an attorney known for advising clients about CBI programs, is the moderator. 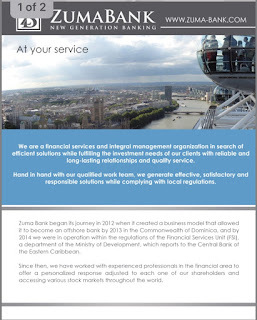 Due to the large amount of interest in yesterday's article on Dominica's Zuma Bank, we are making additional information available, in our efforts to determine the bank's lines of business, customer base, and goals. The bank's office, 42 (Unit 2) Kennedy Avenue, in Roseau, the capital of Dominica, was formerly the office of Banco Transatlantico, the failed Dominica offshore bank owned and operated by Vladimir Antonov, the London-based Russian banker. Antonov later fled to avoid extradition to Lithuania, where he faced charges of fraud and money laundering for asset-stripping ($1.4bn) at Snoras Bank, which was nationalized. 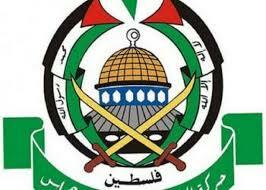 together with its Latvian subsidiary, to save both from total collapse due to his criminal acts. 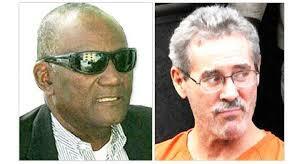 Antonov's Dominica attorney was Alick C Lawrence. Antonov is currently known to be living in St. Petersburg, Russia. 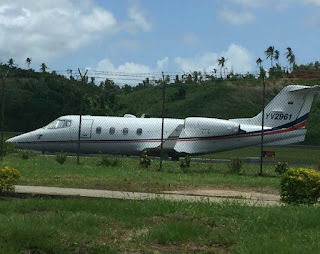 Banco Transatlantico Ltd., which also maintained offices in the Republic of Panama, collapsed shortly after Antonov was arrested in the United Kingdom. It was the subject of compulsory liquidation in Dominica's High Court of Justice. In April, 2018, Antonov was arrested in Moscow, and charged with embezzlement at Sovetsky Bank, which was placed under government financial supervision. 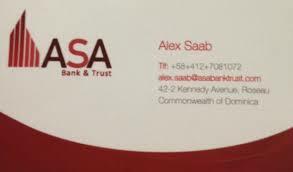 The other former tenants at that office were two offshore banks, ASA Bank and Trust.and FGC Bank and Trust, both of whose licenses were revoked in 2016. 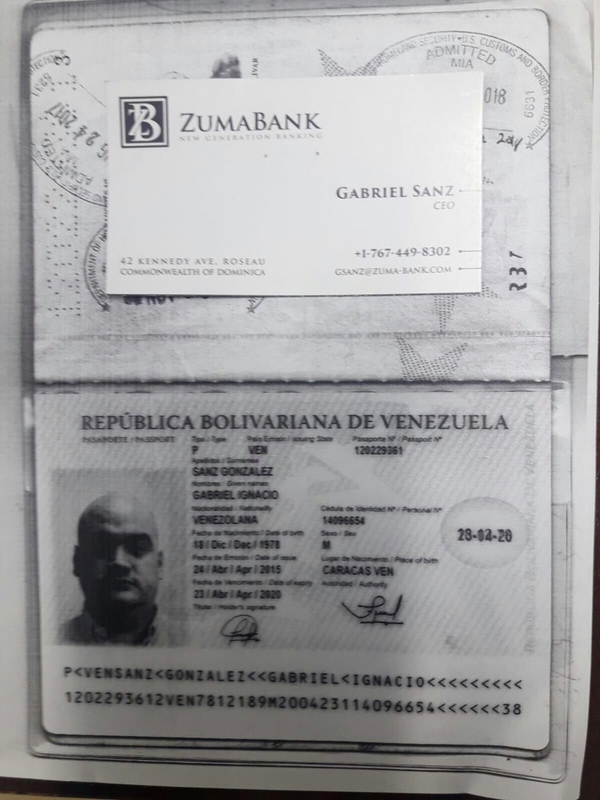 Both banks were owned by Alex Nain Saab Morán, a Colombian national with close ties to the Maduro government in Venezuela, and whose name shows up as a holder of a diplomatic passport from Antigua & Barbuda. 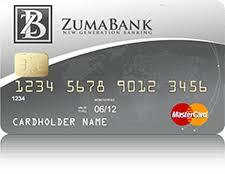 The Zuma Bank Mastercard we pictured in our last article about Zuma comes back to a Venezuelan bank, most likely one that has branches in Panama. The credit card firm that is processing the cards is believed to be located in Panama, and the website has the earmarks of Panamanian webmasters. Our investigation into Zuma continues. The Federal Financial Institutions Examination Council (FFIEC) has updated its manual on Customer Due Diligence and Beneficial Ownership Requirementss for Legal Entity Customers. Readers who wish to review the complete text of these sections may access them at the bottom of this Press Release here. 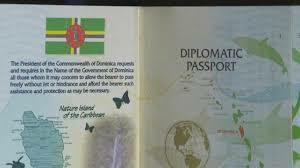 SHOULD THE UNITED NATIONS EXPEL DOMINICA FOR THE DIPLOMATIC PASSPORTS IT SELLS TO CRIMINALS ? If you live in the Caribbean, you know that the Commonwealth of Dominica has been stripped of its voting rights in the United Nations General Assembly, for failure to pay dues for a period of two years. Considering that the country's government is taking in millions each year, from its Citizenship by Investment, or economic passport, program, it makes you wonder into whose pockets all that money is going. More importantly, the United Nations should eject Dominica from its membership, not for that reason, but for one much more serious; its outlaw diplomatic passport program, which freely sells passports that do not comply with international law, to career criminals, international sanctions evaders, corrupt government officials, organized crime members, and just about any other type of lowlife who would benefit from a tool that facilitates crime or terrorism. 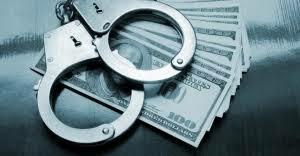 Do you have two or three million dolars in criminal proceeds on hand ? Then you can become an instant diplomat. The officials in power in Dominica have sold, for US Dollars, passports that violate the Vienna Convention on Diplomatic Relations, to which all UN members, as signatories, are bound. They really do not give a damn about international law, believing that national sovereignty protects their criminal enterprise. In the meanwhile, over five hundred Dominica diplomatic passports have been issued by a government that is engaged in racketeering for profit. The most effective remedy available to solve this problem is for the UN to remove Dominica from membership and to declare all diplomatic passports issued by it null and void. The United States, Canada and the UK are considering how to impose sanctions, but it is also up to the United Nations to act; Throw the bums out. 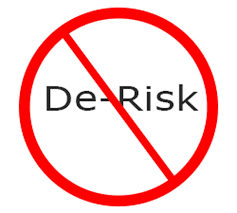 The complaints about what is called "de-risking" continue to roll in, especially from the financial institutions in the Caribbean. Those banks bitterly relate tales of abrupt cancellation of long-term correspondent relationships with American financial institutions, and their often desperate quest to find alternatives, only to learn that the increased costs will probably have to be passed along to the class of client who can least afford it, expats sending remittances, and the recipients of those payments, which they do not want. It is not a conundrum; the affected banks all have access to programs that create the Know Your Customers' Customers, or KYCC, that American banks now demand. if I am a compliance officer in a New York bank, I want to have immediate acccess to the Caribbean bank's customers, his transactions, personal information, account history, and lines of business. Basically it isall those things that are part of his client story, so that I may reduce my risk of being involved in his US transactions. Compliance officers know, or should know, that KYCC programs can be installed that give the USA bank a window into the Caribbean banks' customers, their recoreds, and their transactions, on a real-time basis. 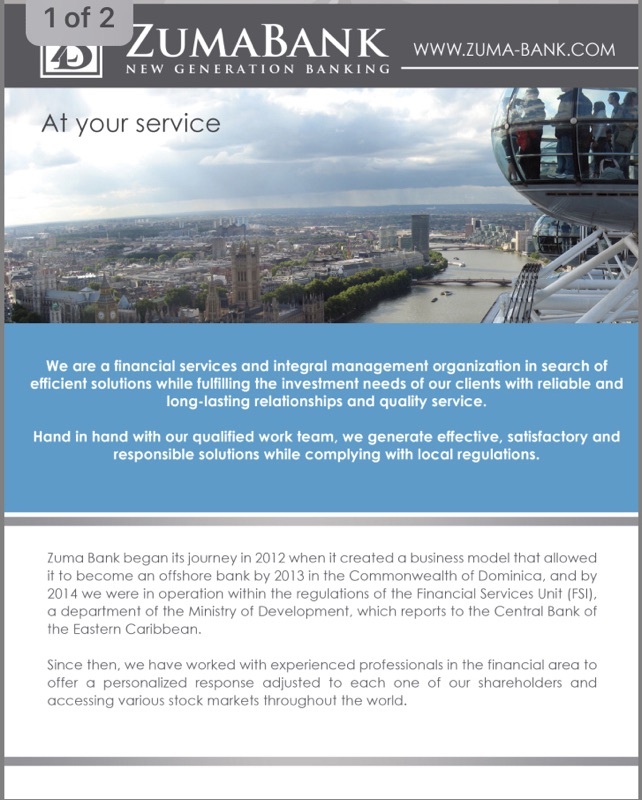 Unfortunately, due to cost concerns, fears about losing clients to local competitors, and pressure from clients to maintain confidentiality, most Caribbean banks fail to engage in KYCC programs, and their eventual loss of correspondent relationships, due to increasingly intrusive regulatory actions against US banks and bankers, is only a matter of time. My advice to compliance officers at Caribbean financial institutions, adopt a program that affords onshore US banks KYCC access to your clients' information, before you get the final notice of impending closure of your prized correspondent accounts in New York. Loss of access to the US banking structure, even temporarily, can result in massive client flight, and eventual insolvency. Pay attention, and solve this problem, before your bank becomes a fatality of de-risking. There has been much talk, in the five East Caribbean states operating a Citiznenship by Investment (CBI) program, about reform, especially regarding the need to perform Enhanced Due Diligence upon all applicants, and lookbacks upon all existing CBI passport holders. For those prime ministers in those countries, you only need look back to see what could happen to your own coveted US visa, shouls you fail to implement those reforms forthwith. 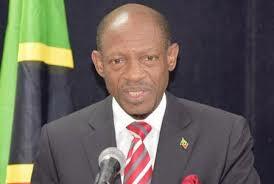 When the elected leaders of St Kitts & Nevis failed to clean up the many flaws in their CBI program, after a number of official complaints were lodged by the American Secretary of State, John Kerry, the US cancelled the US visa of the then St Kitts Prime Minister, Denzil Douglas. Additionally, FinCEN issued its now notorious Advisory, warning the financial world about US concerns regarding all St Kitts CBI passports. The lesson; there are consequences if you ignore your international compliance responsibilities, after you are duly warned by Uncle Sam. Your prime minister might lose the right to shop in Miami or New York, and your voters will quickly tire of their long trips to the US Embassy in Barbados, while applying for visas, and of you as their elected leader. 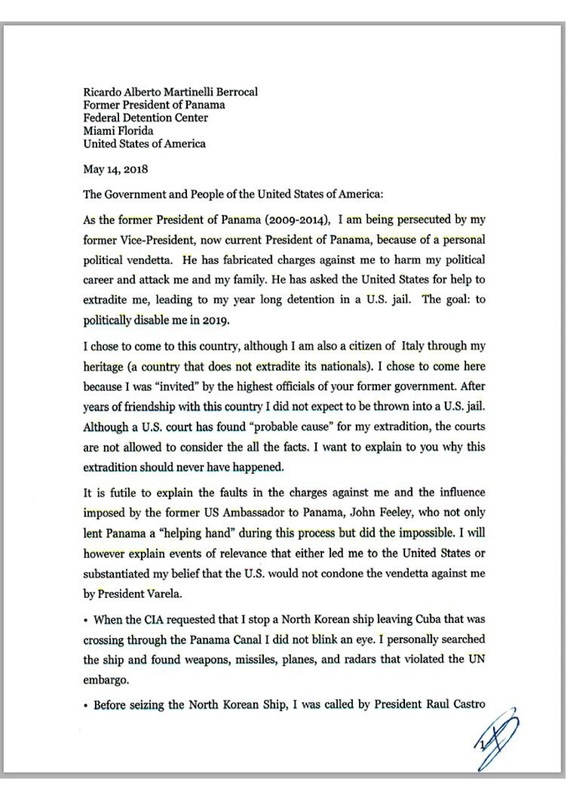 Even after Mr. Douglas left office, in 2015, the United States has declined to reisue or reinstate his visa to enter the country, though we know that Douglas has requested his visa, as a private citizen. Also, Canada imposed visa entry requirements for all St Kitts passport holders. For those CBI jurisdictions who keep repeating that the United States does not impose any sanctions for their continued failure to implement significant reforms, ask Denzil Douglas, who has not been in America for seveal years, and ask those Kittitian businessmen who must buy goods and equipment in repeated buying trips to the US, and now need submit to the tedious visa application process. We trust this has been instructive to the five sitting prime ministers in the EC CBI states. 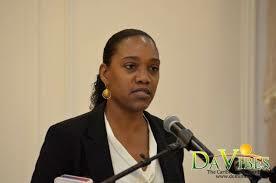 WANT TO HEAR AUDIO FILE OF MY ONE HOUR INTERVIEW ON DOMINICA ISSUES ? My one hour interview on current Dominica and Antigua issues, which was heard this week on TDN Radio Caribbean, is now available as an audio file free to any reader who wishes to hear it. Kindly email me at : miamicompliance@gmail.com and I will be happy to send it off to your email address. Please note that it is 22Mb, and your email program must be able to accept a file of that size. Citing South Korean newspaper articles, a story in a security publication noted that a senior North Korean colonel, assigned to a special unit, has defected while in China, and that he allegedly took with him the printing plates for the "Supernote," the most recent version of the North Korean counterfeit USD $100 note. One example of the Supernote, the US Series 2006, was found late last year by a teller at KEB Bank in Seoul, and it took a team of experts to deduce that it was indeed a counterfeit. This version of the Supernote has not, to date, been seen in global circulation, though massive amounts of the bills are known to exist in cold storage, and have been so stored since they were manufactured by the DPRK, more than a decade ago. There is a report from Singapore, where quantities of the Supernote was offered for sale by criminal elements, at the astounding price of 50 cents on a dollar of face value. This asking price is far in excess of the typical market price counterfeits realize, which is probably a testament to the quality of these latest Supernotes. The current holders of the stored notes are said to be Korea's largest organized crime syndicate, which operates in South Korea, but has ties to the DPRK, as is alleged to have created the printing plates, and transferred them to North Korea. Are the printing plates in the hands of the Peoples' Republic of China, which reportedly already has a large quantity of the notes on hand ? We cannot say, but the mystery surrounding the elusive 2006 Supernote continues to grow. Mehmet Atilla, the number two at Turkey's state-run Halkbank, who aided Reza Zarrab's organization in moving $4bn in illegal iranian oil profits,was sentenced today to only thirty-two (32) months of incarceration by a US District Judge in New York. Federal prosecutors had recommended 15 ro 20 years, as Atilla was a major player in the massive oil-for-gold sanctions evasion scheme. 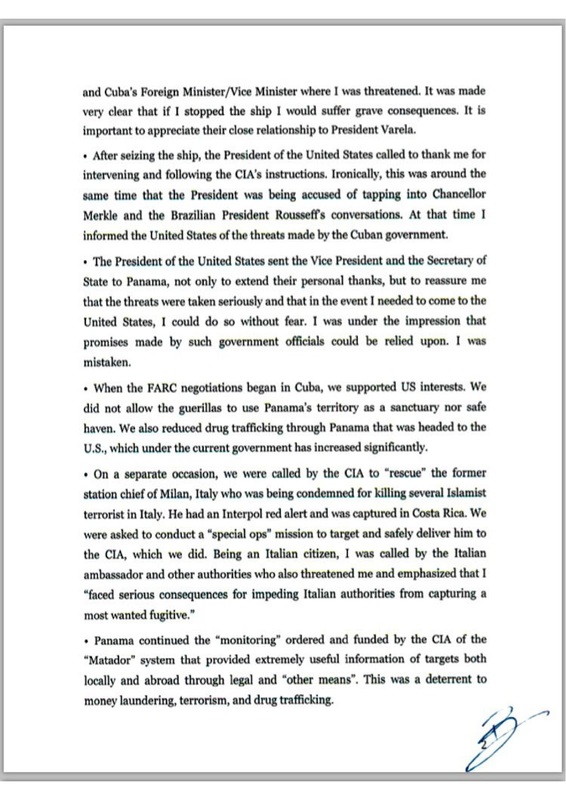 (1) Conspiracy to Defraud the United States. (2) Conspiracy to vuolate the IEEPA. 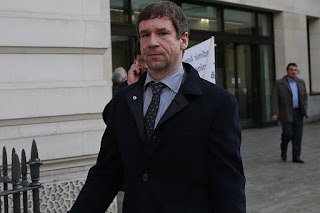 (4) Conspiracy to Commit Bank Fraud. 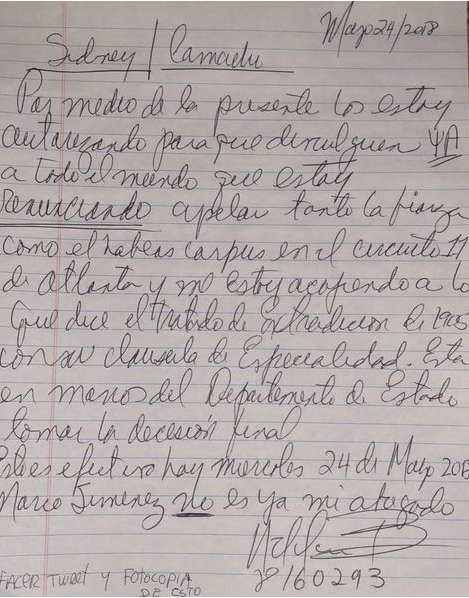 (5) Conspiracy to commit Money Laundering. Whether the sentence is insufficient as a means of punishment, and not an effective deterrent to others is not an easy question to answer. There may have been, or will be, Substantial Assistance, rendered by the defendant, that will materially aid the investigation, and subsequent indictment of other conspirators in the reportedly $13bn sanctions evasion scheme. As it stands now, with his pretrial detention time, he will complete his short sentence in 2019. Why the preferential treatment ? Will Atilla implicate Babak Zanjani, Alireza Monfared, and the other leaders of the global Iran sanctions evasion cartel ? 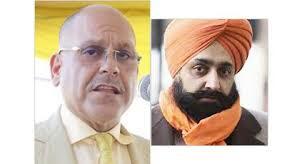 Does Atilla also have a diplomatic passport issued by the Commonwealth of Dominica ? We hope that there is a second phase to this case, so that we may be able to get some answers.